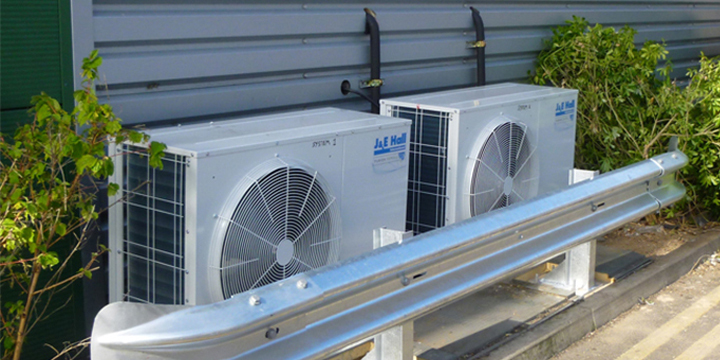 Does your Refrigeration or Air Conditioning System use R22 Gas? If you have recently installed an R22 air conditioning system the phase out dates should be a cause for your concern. Your system will only require additional refrigerant should a leak or major repair is required and this can be effected within current legislation until 2015. Existing units using R-22 can not continue to be serviced with R-22 from 1st of January 2010. Therefore new refrigerant can not be bought to fill this system only existing, stockpiled or reclaimed. In addition, the new substitute refrigerants cannot be used without making some changes to system components. As a result, service technicians who repair leaks to the system will continue to charge R-22 into the system as part of that repair. As R-22 is gradually phased out, non-ozone-depleting alternative refrigerants are being introduced. Under the Clean Air Act, EPA reviews alternatives to ozone-depleting substances like R-22 in order to evaluate their effects on human health and the environment. EPA has reviewed several of these alternatives to R-22 and has compiled a list of substitutes that EPA has determined are acceptable. One of these substitutes is R-410A, a blend of hydrofluorocarbons (HFCs), substances that do not contribute to depletion of the ozone layer, but, like R-22, contribute to global warming. R-410A is manufactured and sold under various trade names, including GENETRON AZ-20®, SUVA 410A®, and Puron®. Additional refrigerants on the list of acceptable substitutes include R-134a and R-407C. These two refrigerants are not yet available for residential applications in the U.S., but are commonly found in residential A/C systems and heat pumps in Europe. EPA will continue to review new non-ozone-depleting refrigerants as they are developed. Another important thing a homeowner can do for the environment is to purchase a highly energy-efficient system. Energy-efficient systems result in cost savings for the homeowner. Today's best air conditioners use much less energy to produce the same amount of cooling as air conditioners made in the mid-1970s. Even if your air conditioner is only 10 years old, you may save significantly on your cooling energy costs by replacing it with a newer, more efficient model. Products with EPA's Energy Star® label can save homeowners 10% to 40% on their heating and cooling bills every year. These products are made by most major manufacturers and have the same features as standard products but also incorporate energy saving technology. Both R-22 and R-410A systems may have the Energy Star® label. Equipment that displays the Energy Star® label must have a minimum seasonal energy efficiency ratio (COP). The higher the cop specification, the more efficient the equipment. You should consider energy efficiency, along with performance, reliability and cost, in making your decision. And don't forget that when purchasing a new system, you can also speed the transition away from ozone-depleting R-22 by choosing a system that uses ozone-friendly refrigerants. From 01/07/1995 - HCFC’s will be banned except as solvents, as refrigerants, for the production of rigid insulating foams and integral skin foams in safety applications, in laboratory uses, including research and development, as feedstock in the manufacture of other chemicals and as a carrier gas for sterilisation substances in closed systems. From 01/01/1996 - HCFC’s will be banned in the following uses: in equipment produced after 31/12/95 as: refrigerants in non-confined direct evaporation systems; refrigerants in domestic refrigerators and freezers; in motor vehicle, tractor and off road vehicle or trailer air conditioning and inroad public transport air conditioning. From 01/01/1998 - HCFC use will be banned in equipment produced after 31/12/97 for rail public transport air conditioning. From 01/01/2000 - HCFC use will be banned in equipment produced after 31/12/99 for use as refrigerants in public distribution and cold stores and warehouses and as refrigerants for equipment of 150kW and over shaft input. From 01/01/2001 - HCFC’s are banned in all other refrigeration and air conditioning equipment produced after 31/12/2000, with the exception of fixed a/c equipment, with a cooling capacity of less than 100kW where use shall be prohibited from 01/01/2004 and of reversible air conditioning / heat pump systems where the use of HCFC’s shall be prohibited from 01/01/2004 in all equipment produced after 31/12/2003. From 01/01/2010 - The use of virgin HCFC’s shall be prohibited in the maintenance and servicing of refrigeration and air conditioning equipment existing at that date. From 01/01/2015 - The use of recycled HCFC's will be prohibited in the maintenance and servicing of refrigeration and air conditioning equipment existing at that date. R134A, R407C, R410A, and R417A.